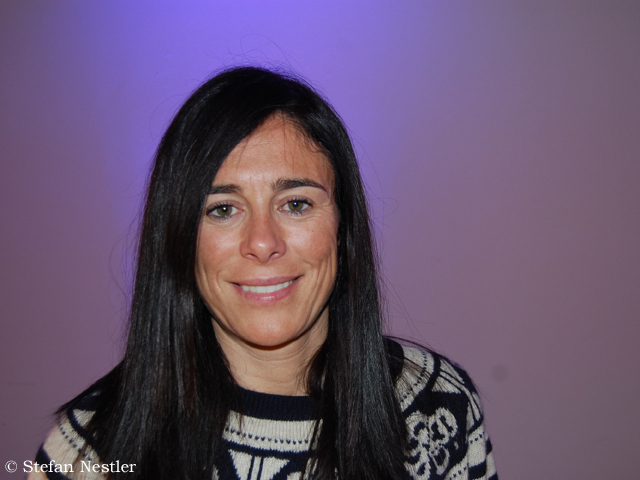 Edurne, you completed the fourteen 8000ers in 2010. Have you been in the Himalayas since then? 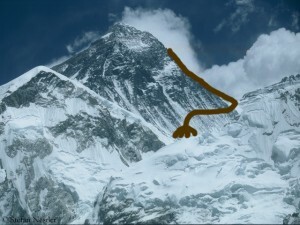 I came back to Everest in 2011. Everest was my first 8000er in 2001, I used (supplementary) oxygen for the summit. So after I had finished all 8000ers I wanted to try Everest without oxygen. But we didn’t make the summit. Ralf Dujmovits is up to every Himalayan trick. 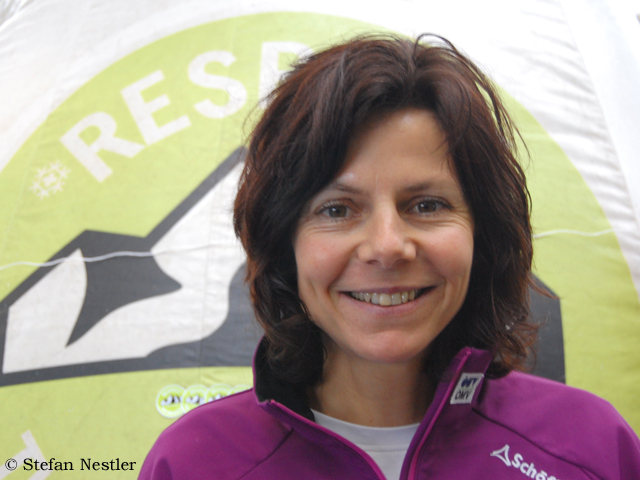 For the last 25 years Germany’s most successful high altitude climber has been on the way on the highest mountains of the world. For him Mount Everest (the first ascent of the mountain 60 years ago will be celebrated in May) is an old acquaintance. 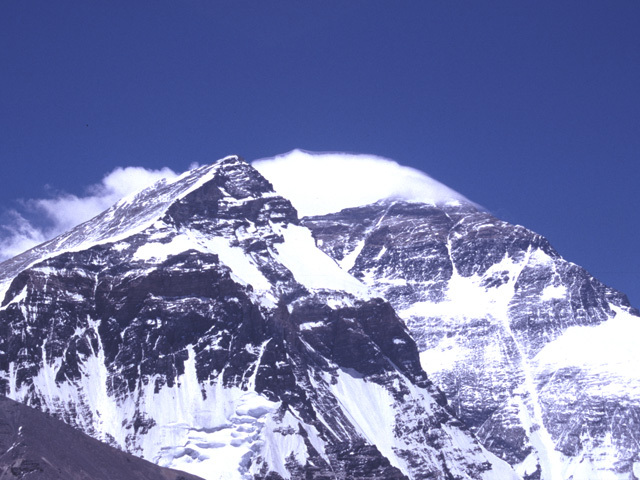 In 1992 Ralf stood on the summit, 8850 meters high, in bad weather conditions. Above the South Col he used supplementary oxygen. 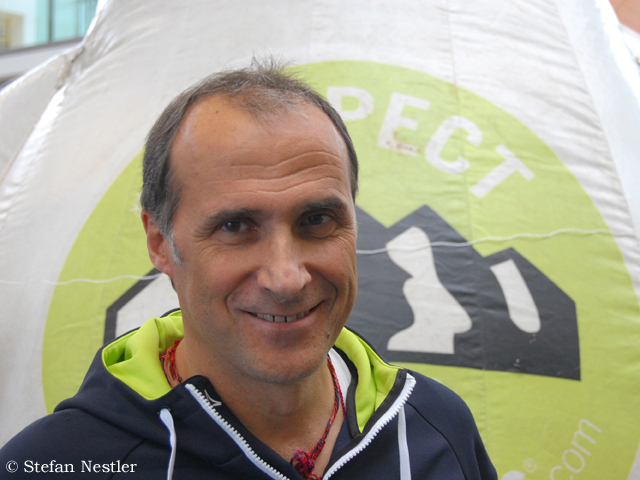 It was the only one of the fourteen 8000-meter-peaks Ralf climbed with an oxygen-mask. The mountaineer from Bühl in the south of Germany feels this fact as a flaw that he wants to eliminate. 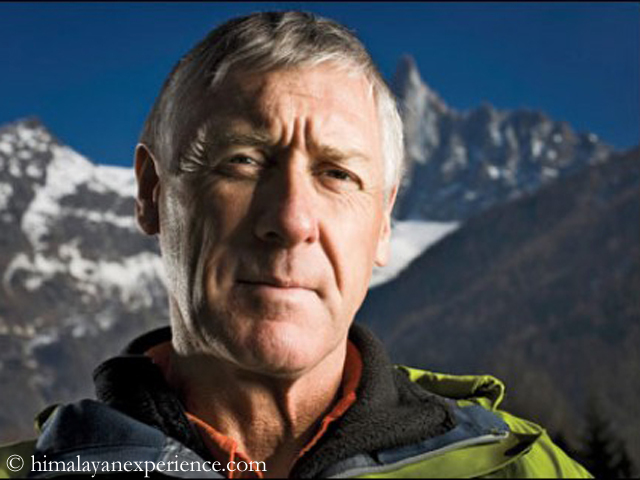 In 2005, 2010 and 2012 Ralf tried to climb Everest without supplementary oxygen, three times he failed. But still he is flirting with another attempt. So it’s not surprising that Ralf talked about climbing „by fair means” – when I asked him for his statements for my Everest-60-pinboards (you can read and hear his words on the right side of the blog). Mount Everest is celebrating a 60-years-jubilee. Not concerning his real age. Chomolungma counts millions of years, not decades. 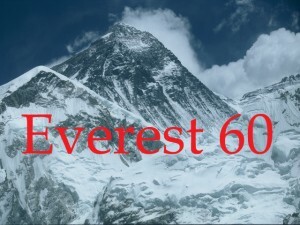 60 years ago on the 29th May Edmund Hillary from New Zealand and Sherpa Tenzing Norgay were the first to set their feet on the the highest point of the earth. 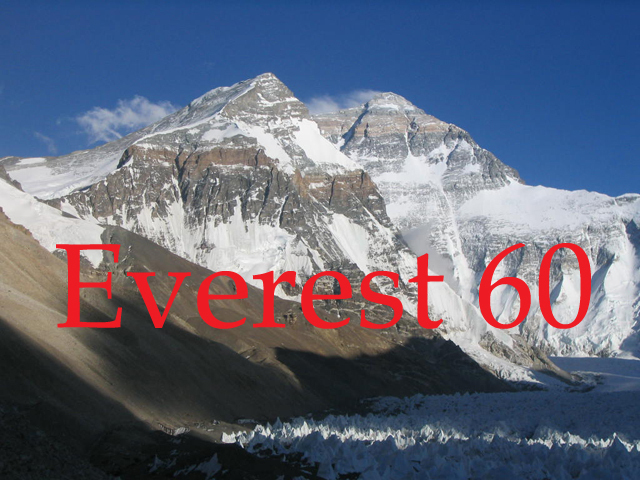 Since 1953 Mount Everest has been climbed more than 6000 times, about 4500 times in the last ten years.